1. January was all about simplifying my home. February is going to be about simplifying my food choices. Be prepared for recipes, rants about sugar cravings, and raging headaches due to lack of caffeine. 2. Speaking of caffeine, our electric coffee grinder broke the other day and I was desperate for some coffee. One of my sisters had given me an antique manual coffee grinder as a bridesmaid gift, and we really weren’t expect it to work. 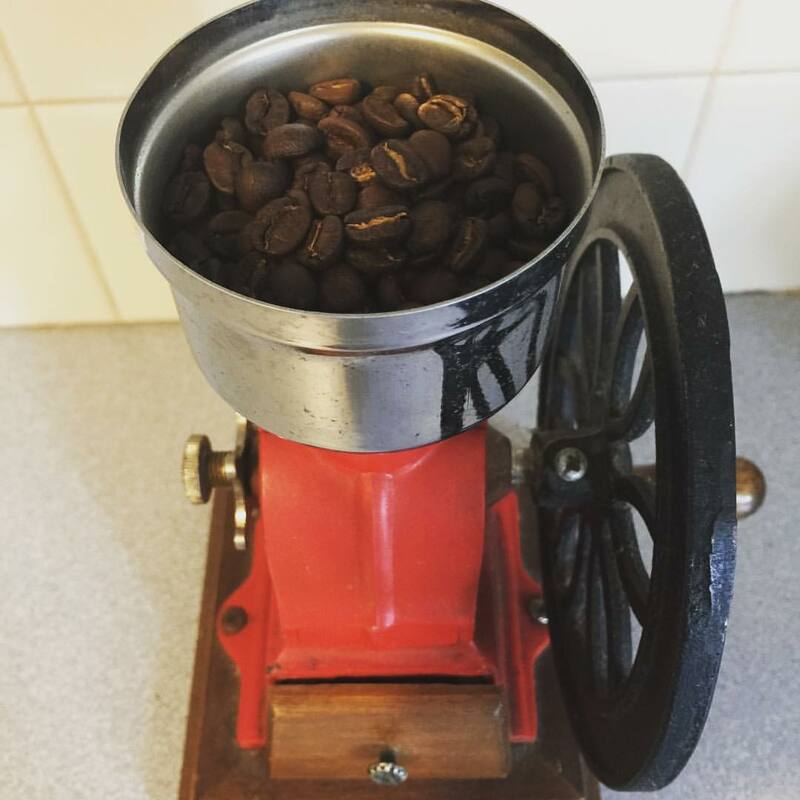 Well, I dusted that puppy off and figured out how to grind coffee with it! It was a great accomplishment. Plus, look how cool it will look on the counter? And that’s coming from someone who doesn’t like things on her kitchen counters. 3. The weather here has been gorgeous lately. 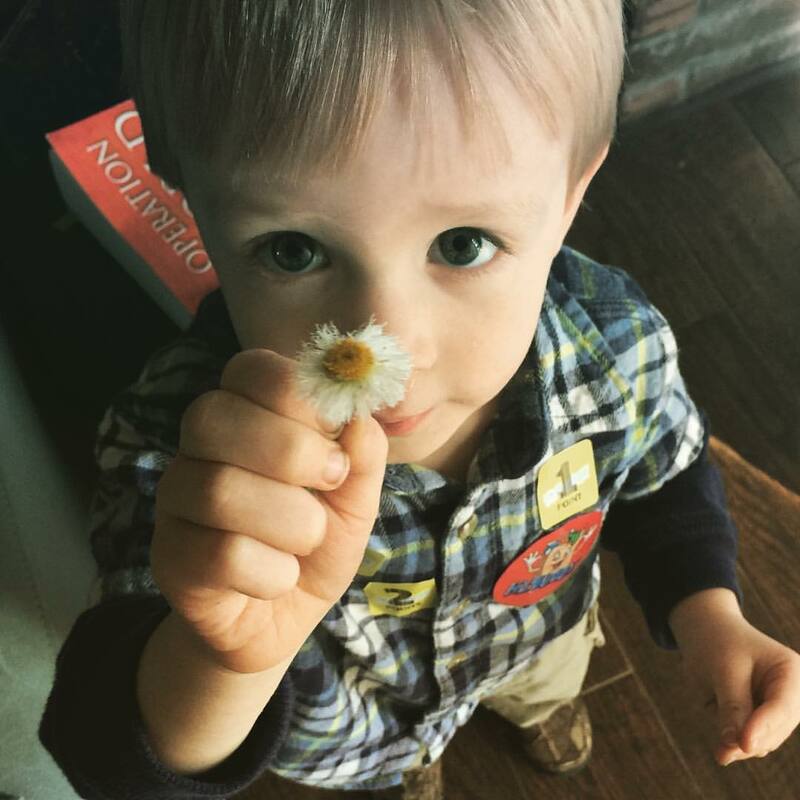 We’ve been spending lots of time outside, and my boys love to pick ALL the flowers they can find. They are so sweet and picked flowers for me, their dad, baby Sarah, Nana, Pops, Grandma, Grandpa, and the mailman. 4. This past Saturday I did yoga for the first time in years. I used to think that yoga was this easy peesy workout… Y’all, the next day there were muscles hurting that I didn’t even know I had. If you wanna get ripped, go to yoga. 5. 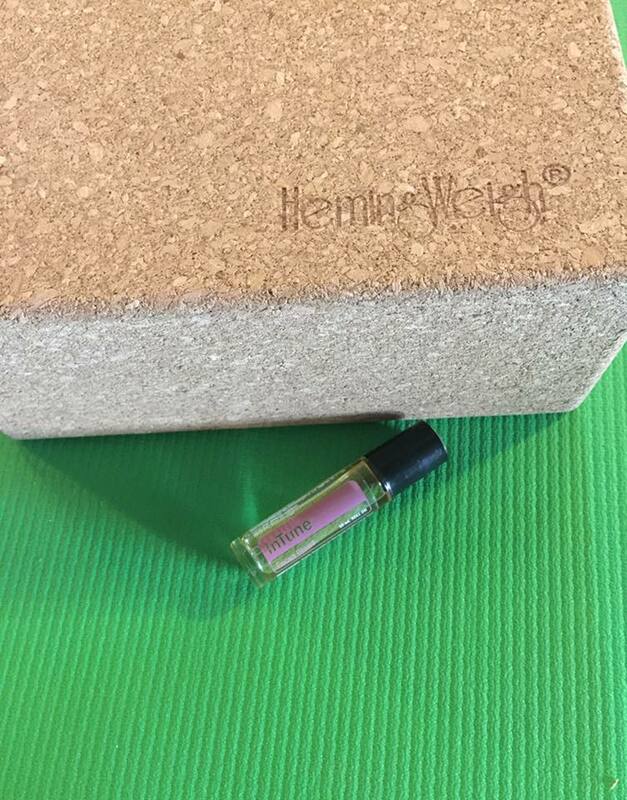 Speaking of yoga, have you ever tried using essential oils along with your routine? I wanted to be able to come with a clear mind, and not be worrying about the stresses of life. I rolled doTERRA InTune on my wrists and it really helped to keep me grounded.